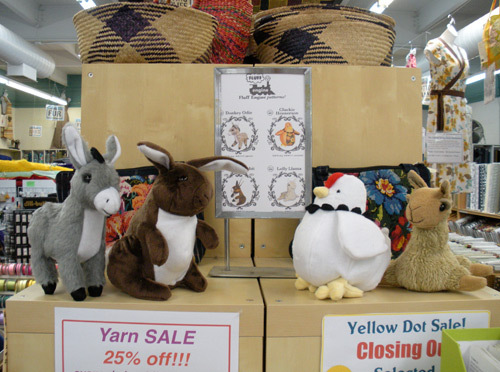 If you live in the SF Bay area, my plush patterns are now for sale at Stonemountain & Daughter Fabrics in Berkeley. If you haven't been there already, Stonemountain is an awesome fabric store with an amazing selection. Go check it out!